Alprazolam is an antianxiety agent, benzodiazepines. Used primarily for short-term relief of mild to moderate anxiety and nervous tension. 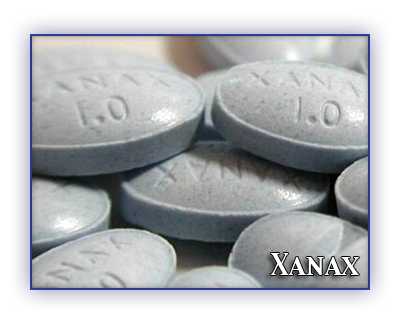 Alprazolam is also effective in the treatment of activity depression or panic attacks. It can be useful in treating irritable bowel syndrome and anxiety due to a neurosis as well. Alprazolam may help the symptoms of PMS if extreme, some cancers pains if given with various narcotics, agoraphobia, essential tremor, and ringing ears. Actual dosage must be determined by the physician. Full benefits in first day to a week. USE UP TO EIGHT MONTHS ONLY! If under 18 years of age, DO NOT USE! 18 to 60 years of age, 0.25mg to 1.5mg daily. Over 60 years of age, Lower dosage increased cautiously. Start: 0.25 mg to 0.5 mg 3 times daily. Maximum: 4 mg in 24 hours. Start: 0.5 mg 3 times daily. Increases: 1 mg daily in 3 to 4 day intervals. Maximum: 10 mg in 24 hours. Liver Function: If liver disease present, start dosage at 0.25mg, increase as needed. Missed Dose(s): If within one hour take, if over an hour skip and then continue on your normal schedule. Never Take a Double Dose! If Stop Taking: Do not stop without consulting your physician and never abruptly if have been taking for over three weeks. Do not stop taking abruptly. Do not give this drug to anyone who is psychotic. Narcotics may increase the sedative effects of this drug. Do not take other sedative, benzodiazepines, or sleeping pills with this drug. The combinations could be fatal. Do not drink alcohol when taking benzodiazepines. Alcohol can lower blood pressure and decrease your breathing rate to the point of unconsciousness. The habit-forming potential is high. It is possible to become dependent in the first few days. Do not stop taking this drug abruptly, this could cause psychological and physical withdrawal symptoms. Do not take this drug if you are pregnant or planning to become pregnant. Do not take if you are breast-feeding. Do not give this drug to anyone under eighteen and only in small doses if over sixty with very close monitoring. Do not use If: You had negative reactions to other benzodiazepines, if you have a history of drug dependence, if you have had a stroke, if you have multiple sclerosis, if you have Alzheimer’s disease, if you are seriously depressed, or if you have other brain disorders. If you have myasthenia gravis or acute narrow-angle glaucoma. Inform Physician If:: You have a seizure disorder, impaired liver / kidney function, history of alcoholism / drug abuse, psychosis, palpitations, or Tachycardia.